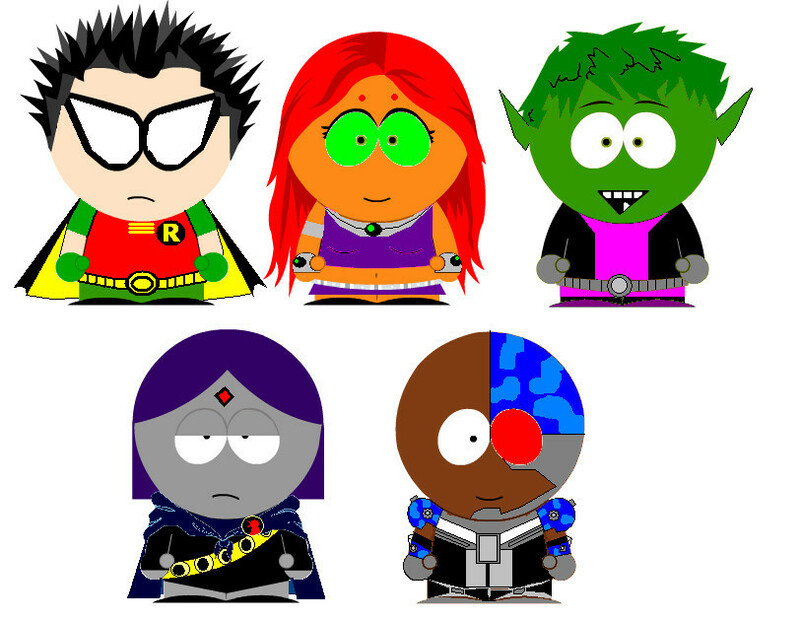 Teen Titans in South Park. . HD Wallpaper and background images in the Teen Titans club tagged: teen titans teen raven robin titans starfire beast boy cyborg. This Teen Titans photo contains diagramma di venn. There might also be compact disk, compact disc, and cd. have you seen the youtube movie of a family guy spoof and teen titans spoof, where slade wants his money? They look like they belong on South Park!! Cute! I love South Park!